2013 can officially be declared as having been the ‘Year of Beer’ in Poland. And not just any old beer - damn good micro-brewed craft beers and ales made in small batches by dozens of small breweries, then shipped in bottles or kegs and pumped, poured and pounded in sleek new multi-tap bars, ale dens and beer pubs all over Poland. 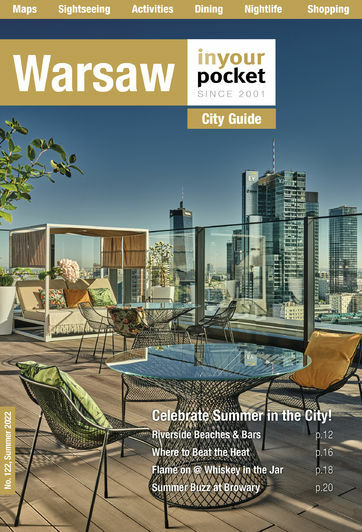 Warsaw has been in the vanguard of this renaissance and a whole cache of new bars have opened their doors in the past year offering a wide variety of sultry suds to a rapidly expanding community of beer enthusiasts. So what’s the fuss all about? Less think and more drink. Go check out the three-storey Cud na Kija, which holds the honorable title of being the first multi-tap bar in Warsaw. Saunter up to their swanky 16-tap bar and partake in a brew or two. If this doesn’t convince you, head over to the laid-back Kufle i Kapsle and grab a savoury snack with the latest pimped out porter to arrive from the provinces. Still not a convert? 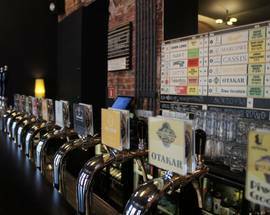 Wander into the newly opened Piw Paw and stand in awe of their 57 taps and over 200 bottles - 90% of which are all Polish! 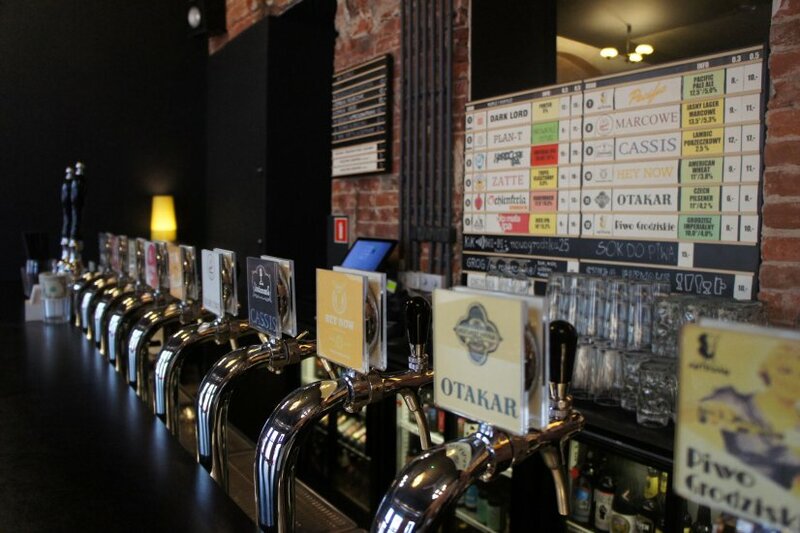 Names of award-winning Polish breweries such as Ale Browar, Pinta, Kormoran, Artezan, Pracownia Piwa, Ursa and Ciechan crowd the taps and fill the fridges of all three of these new multi-tap bars. Much of the beers brewed by these young upstarts are inspired by Belgian, British, Czech and American pale ales, wheat beers and stouts. However, many are also producing uniquely Polish beers made from locally sourced ingredients and, in some cases, they are reviving centuries-old recipes. Despite Poland’s reputation as being a historically vodka-based life-form, it also has a fabled history of craft brewing that dates as far back as the 13th century. For centuries, however, beer in Poland was exclusively consumed within a hoppy horseride of where it was brewed. It wasn’t until the Industrial Revolution that Polish breweries started to ship domestically in larger quantities. This is when breweries like Zywiec and Tyskie grew to prominence and thrived in the golden age of the Austro-Hungarian empire. The increased dominance of these massive breweries forced many of the smaller breweries out of business and by the end of WWII most had closed or been destroyed. With the nationalisation of Polish breweries during Communism, Polish beer became bland and expensive. Cheap vodka was the only thing readily available so the collective Polish palate was dulled into submission until Solidarity started taking to the streets. With the 90’s and independence came the return to prominence of the pre-war piwo juggernauts Zywiec, Tyskie and a handful of other imposters (Warka, Okocim, Tatra). These national brands have dominated the Polish beer landscape for the better part of the last two decades and one by one have been bought up by huge international beer conglomerates and subsequently have only gotten worse and worse. It’s hard to say when the tide began to turn. Micro-breweries slowly came out of the woodwork in the 90’s and have grown steadily over the last decade. In Warsaw, one brand in particular is associated with Warsaw’s micro-brewed revolution: Ciechan. This small brewery from a small town an hour north of Warsaw embodies the long, rich, troubled, tragic and ultimately triumphant story of Polish micro-brews. Craft brewing in this town dates back to the 13th century and the brewery itself began brewing in the middle of the 19th century. After being ransacked in WWI it hung on by a thread during WWII (and even helped the home cause) only to be heavily subjugated by strict controls during Communism. In the 90’s the brewery emerged fully modernised and ready to fill the glasses of the newly freed market. Ciechan focused on technology and on developing unique beers, different to everything else on the Polish market. Year by year they increased production and introduced new beers. Slowly but surely their craft beers started showing up in Warsaw pubs in the early 2000’s. In 2004 they launched their now signature honey beer (Ciechan Miodowe) which solidified the breweries cult status and the bohemian bars of Praga (W Oparach Absurdu, Po Drugiej Stronie Lustra, etc.) began stocking their fridges and filling their taps with Ciechan brews. Soon the beer could be found in every bar, cafe, club, restaurant, alcohol shop and even mini-mart. Ciechan quickly had company and now there is a veritable deluge of delicious craft brews literally pouring into the capital on a daily basis. Dynamic and stylish multi-tap craft beer bars and brewpubs are popping up everywhere, much to the elation of the masses. It seems the days of the Zywiec-Tyskie industrial complex are now officially over and the golden age of Polish micro-brewing has begun.